Which cloud storage service is best if you’re running Windows 10? Tough question. You might want to use four of them — three for PCs and Android, and iCloud for your Mac, iPad, and iPhone stuff — different services for different purposes. Dropbox, as shown here, offers 2GB of free storage, with 1TB for $10 per month. It’s very easy to use, reliable, and fast. 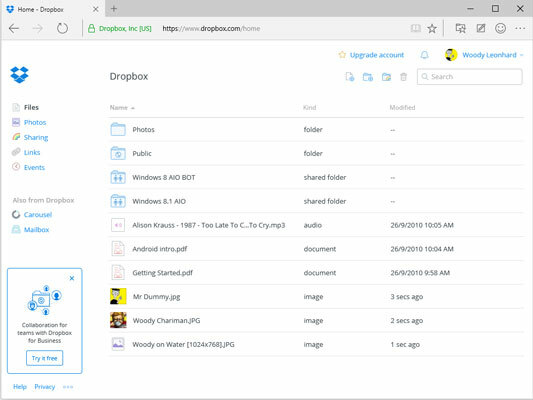 Dropbox also connects to Facebook to retrieve or post pictures. OneDrive has 15GB of free storage, with 100GB for $4 per month or 1TB for $7 per month. The amounts on offer change from time to time. Also note that many Office 365 subscription levels have unlimited OneDrive storage, free, for as long as you’re an Office 365 subscriber. Yes, that’s unlimited, as in infinite, for free as in beer. Google Drive, as shown here, has 15GB of free storage, with 100GB for $2 per month and 1TB for $10 per month. Google Drive isn’t as slick as the other two, and there’s no Facebook connection, but it works well enough. There’s an optical character recognition facility and the ability to launch web apps directly. Most of all, it’s fall-down simple to use Google Drive with Google Apps, which includes Gmail, and several not-very-compatible writing and spreadsheet apps. All the apps, to a greater or lesser extent, work while you aren’t connected to the Internet. 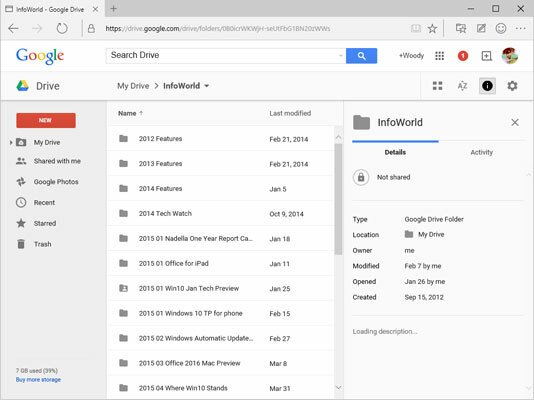 Google Drive works very well with Google Apps. 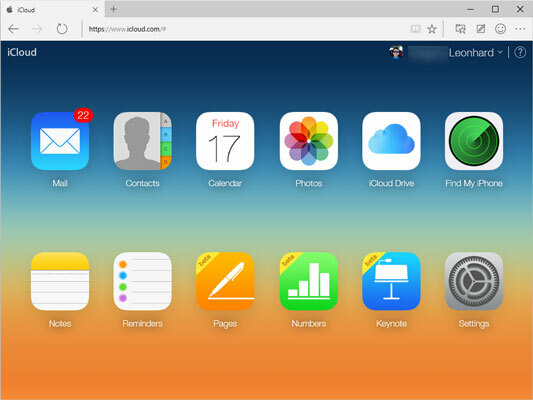 Apple iCloud, as shown, is really intended to be an Apple-centric service. The first 2GB is free, and then it’s $20 per year for an additional 10GB. It works great with iPads and iPhones and even my new Mac, with extraordinarily simple backup of photos. In fact, photo and video backup and sharing take place automatically, and you don’t have to do a thing. Music goes in easy as can be, and anything you buy from the iTunes store is in your storage, free, forever. But it’s not really set up for open data sharing. Apple, too, is trying to bring its cloudy offerings down to the desktop. Stay up on the latest, if you’re thinking about going with Apple. iCloud works with Apple products, but makes it difficult to share files among PCs. Amazon Cloud Drive ties in with Amazon purchases and the Kindle but not much else. SugarSync lets you synchronize arbitrary folders on your PC. That’s a big deal if you don’t want to drag your sync folders into one location. Box is designed for large companies. It gives companies tools to control employee sharing. SpiderOak is the most secure of the bunch: It doesn’t keep the keys to your files, and unlike the other services, it’s impossible for SpiderOak to see your files.